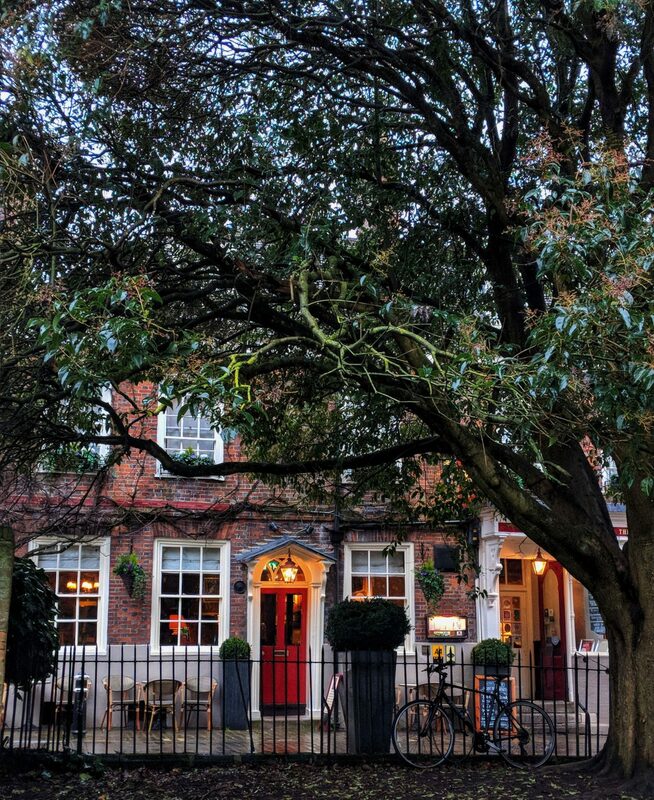 Winchester is the perfect setting for a literary weekend break. Bibliophiles often head to Bath, London or Oxford for bookish travel but this pretty historic city has everything a reader could want. We spent a weekend in Winchester during February half term. Our budget was limited so we made time to see some of the major sites as well as factoring in cheaper activities too. We also set aside a day to travel to Chawton, the village where Jane Austen wrote her famous novels. If you’re a book lover then I highly recommend making time to fit this into your stay. Winchester has lots of great accommodation ranging from boutique B&Bs to large hotels. On this occasion, we booked into the Premier Inn because it was affordable and ideal for families with young children. This hotel is about twenty minute’s walk from the centre of town so if you want to be near the action then maybe check out the Winchester Royal Hotel instead. In the past, we’ve enjoyed stays at The Winchester Hotel and Spa and The Old Vine (see photo below) but these are probably more suited to romantic, solo or business travel. The Premier Inn has on-site parking and its own restaurant which is really convenient after a long journey. If you need to stretch your legs, it’s worth ambling into the city to get a feel for its quaint charms. Once you’re off the main road, the path winds by the River Itchen until it emerges near to the imposing statue of King Alfred the Great. From here it’s a hop, skip and a jump to the main shopping area. You’re spoilt for choice when it comes to eating out. Winchester is a foodie paradise with plenty of independent eateries like Forte Kitchen and Three Joes Sourdough Pizza as well as chains such as Wagamama. What better way to see the historic sights of Winchester than to follow in the footsteps of John Keats. The Keats’ Walk is a two mile self-guided walk that takes you from the city to the Hospital of St. Cross , England’s oldest almshouse. The English Romantic poet was inspired to write the ode To Autumn after walking this atmospheric route during the late summer and early autumn of 1819. 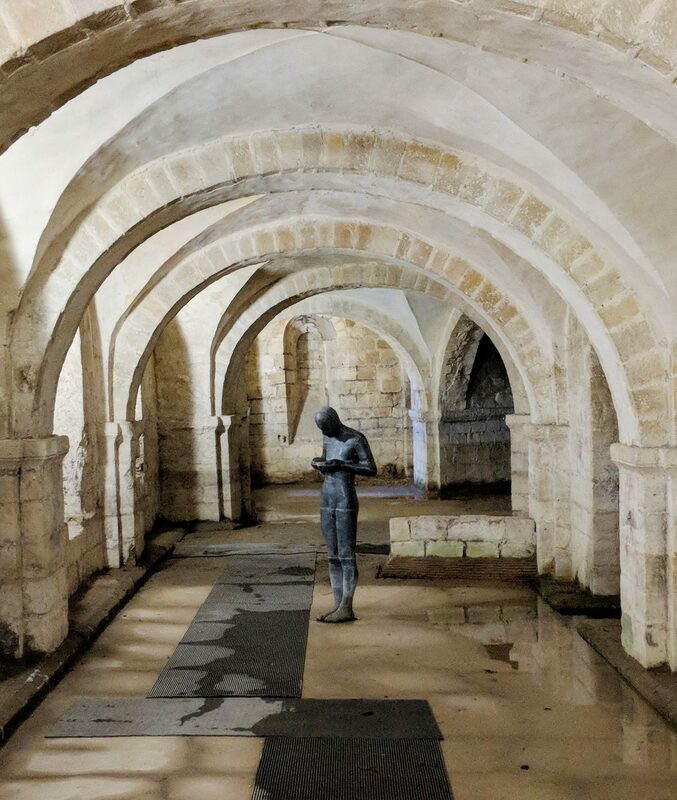 The route takes you by many of the most picturesque and historic features in the city including Winchester Cathedral, Jane Austen’s final house (not open to the public) and Winchester College, one of the oldest public schools in England. The walk is mainly on the flat, but the last section can be boggy so wear boots and take a coat. It was pouring with rain when we went so sadly had to cut out the section to St. Cross. Instead we spent more time P&G Wells, a lovely independent bookshop which can be found on College Street. You can download a copy of the walk here or pick up a paper copy from the Tourist Information Office. A weekend in Winchester wouldn’t be complete without seeing the spectacular Winchester Cathedral. Entry isn’t free so build this into your costings if you’re visiting on a budget (adults £8.50/concession £6.50/student £5.00/children under 16 Free). On first glance, it might not seem like a great place to take kids, but Little M enjoyed finding out about all the weird stuff on the Children’s Trail leaflet. I recommend either downloading this on the link before you go, or picking up a copy when you pay. If you still have time and energy to spare (but not money), why not head to the public library, excitingly called the Winchester Discovery Centre? It’s about fifteen minutes’ walk from the Cathedral and takes you very close to the Winchester Great Hall. When we went there were free colouring activities for kids as well as a reasonable cafe. It offers a great place to chill out for an hour without breaking the bank. It’s hard to leave Winchester, but if you’re on a literary break, it’s absolutely worth making time to visit Chawton and see Jane Austen’s home. The journey takes twenty minutes by car or you can catch the 64 and X64 buses from stop J at Winchester Bus Station (opposite the tourist information centre). Jane Austen lived in what is now the Jane Austen House Museum for the last eight years of her life and she wrote all her major works here. If you drive to Chawton, you’ll see the house museum immediately. There’s free car-parking opposite as well as a small playground. The house is open 7 days a week from 10.30am and although ticket prices aren’t cheap, they cover entry for a whole year (Adults £9.00/Seniors £8.00/Students £7.00/Concessions £4.00/6-16 £4.00/Under 6 free/Family ticket £22.00). At the time of writing, there are restrictions due to building work so check the website before you go. Despite being compact, we spent an hour and half exploring the house and garden. Little M found plenty to do – a trail, outdoor play activities and lavender bag making. I’ve written more about our visit to the Jane Austen House Museum here. There isn’t a cafe so you can either eat at one of the pubs or cafes in the village or head to the Old Kitchen Tearoom at Chawton House. The literary exhibitions at Chawton House were more detailed than those at the House Museum, and the library itself is fascinating, but it wasn’t quite as geared up for families. You can read about our experiences at Chawton House in this post. However, if you’re visiting as a reader, this will really add an extra dimension to your literary weekend and deepen your understanding of Austen’s work. Our literary weekend in Winchester left us feeling inspired and we could have easily added more to the itinerary. If we’d had an extra day, we would’ve probably spent a day at Marwell Zoo, Lymington or driven to the New Forest. Do you have any tips or ideas to share? What a beautiful weekend getaway.. so much history concentrated in that one city! There’s so much to see in Winchester. I can’t understand why it doesn’t appear in travel blogs more often!